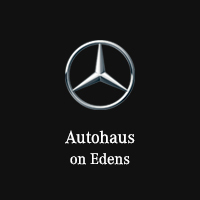 Autohaus on Edens is the premier Mercedes-Benz dealer in the Northbrook, IL area. With a huge inventory of 200 new Mercedes-Benz sedans, coupes, roadsters, and SUVs to choose from, our dealership has something for everyone. Check out the S-Class models for top-of-the line sports performance driven by V8 and V12 engines, or bring the family along for a test drive with one of our available GLE models. Regardless of what your tastes are, the superior engineering, classic style, and undeniable luxury of the current Mercedes-Benz lineup offers something to appeal to everyone. After searching our inventory of new Mercedes-Benz cars and SUVs, take the time to explore the special offers available through our dealership in Northbrook, IL. Autohaus on Edens is a purveyor of First Class financing and leasing services, putting your next new Mercedes-Benz model easily within reach. We also offer a wide selection of pre-owned and certified pre-owned Mercedes-Benz cars and SUVs. In this way, drivers in and around the Northbrook, IL area can take home the superior example of refined engineering that is a Mercedes-Benz car or SUV for significantly less. Click to learn more about CPO Mercedes-Benz models.